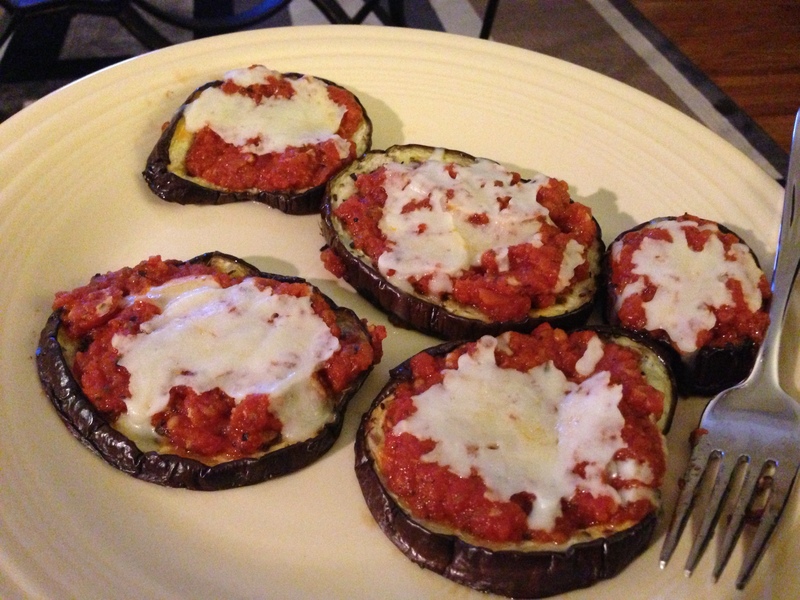 Little eggplant pizzas. Easy peasy! I stole this little tutorial from over here, where she obviously took much more time to make them look pretty than I did. I also was too hungry to wait for the cheese to broil. Don’t judge – it was late and I was starving. What I love is that you could really do a million things with these, and they totally satisfy that pizza sauce craving without being bad for you. I think these would be great with a little prociutto or some chopped veggies mixed in. Experiment your little hearts out! Next postHouse Warming in O-H-I-O!